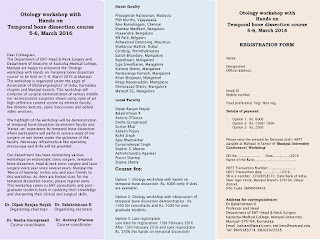 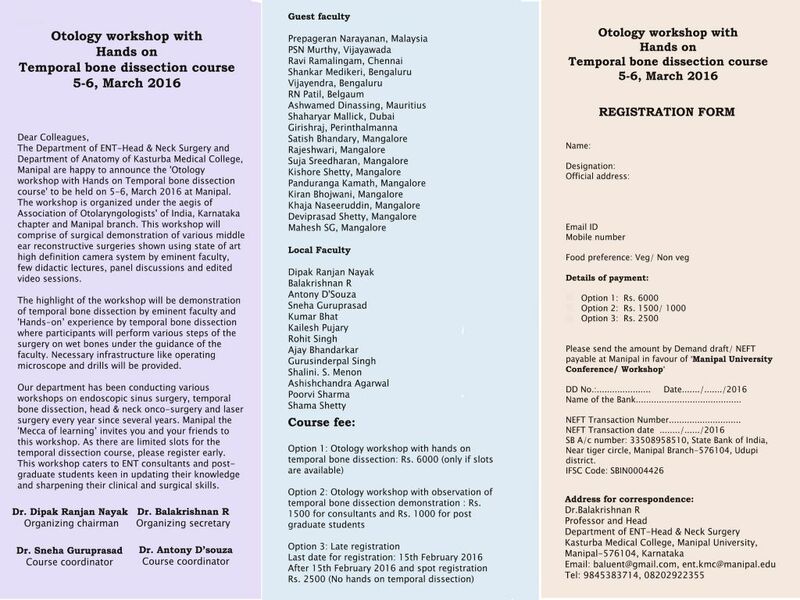 The Department of ENT-Head & Neck surgery, Kasturba Medical College, Manipal is happy to announce the 'Otology workshop with hands-on temporal bone dissection course' at Manipal on 5-6 March 2016. 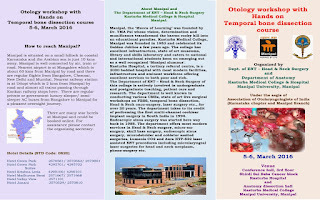 The highlights of the workshop will be edited detailed video presentations covering all-important otological surgical procedures by eminent faculty, panel discussions, live temporal bone dissection demonstration followed by 'Hands-on' temporal bone dissection. 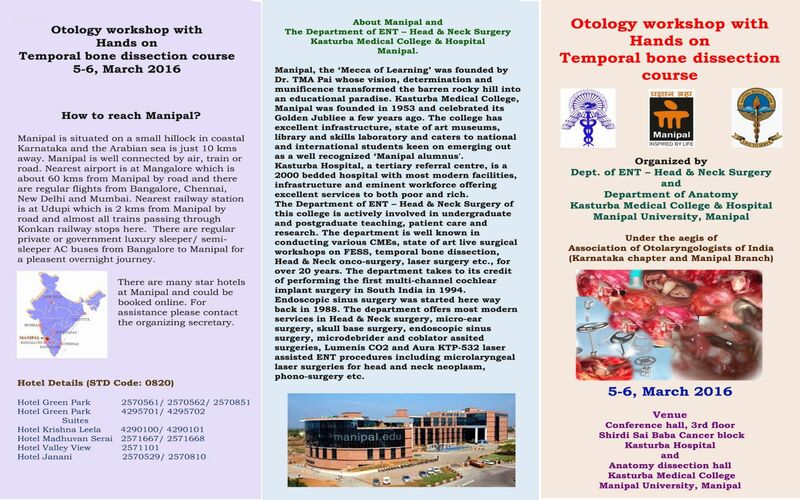 Please publish the announcement of this workshop in your esteemed website 'Otolaryngology update' so as to reach your large number of subscribers.